Having listened to many podcasts, and watched many video discussions, Bioshock Infinite’s story seems to hold together well. There are not any major plot holes but there are unanswered questions. There will be spoilers ahead, as most of these questions are raised by the ending of the game, so don’t go further if you have not completed Bioshock Infinite. The first question doesn’t really pose itself during the first play through. 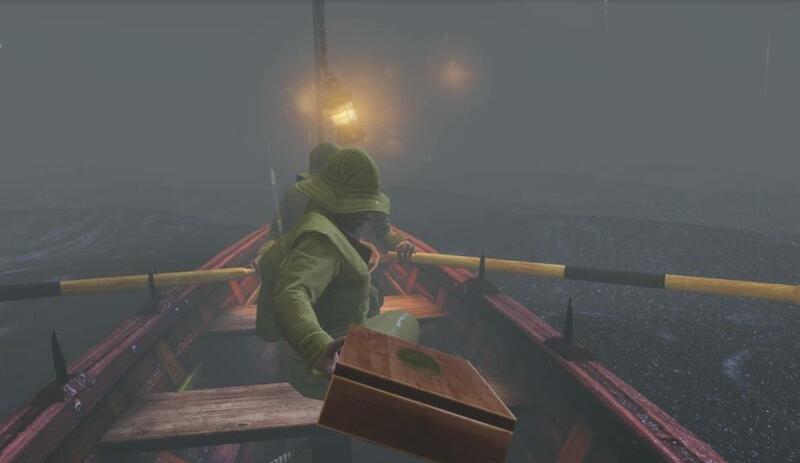 When you come to the hooded figure in the lighthouse, one assumes it was the lighthouse keeper and that he was killed by whomever hired Booker as evidence of how serious they are about Booker bringing them the girl. By the end of the game we know that it was the Luteces who “hired” Booker to go get Elizabeth. But did they kill the lighthouse guard? Some have proposed this, but it seems out of character for them. Wetwork is more Booker’s specialty than theirs and he has a gun when entering the lighthouse. Also, he doesn’t appear to have simply been killed, but tortured as well. There’s even a lit cigarette in an ashtray next to the body. It doesn’t seem likely that Comstock would have had this done, as there is a note on the map showing (presumably) Columbia’s route. Just who killed this man and why? It is the only question that seems to me to be a bit of a red herring. One could assume it is the Luteces and move on, but that answer is a bit unsatisfactory given their characterization throughout the game. The other four questions all deal with the ending of the game and some are perhaps easily missed, particularly if you only play through Bioshock Infinite once. Where does the drowning take place? The second most obvious answer then is that this is the place where Booker (another Booker) did accept the baptism and became Zachary Comstock. That is possible, granted, but it seems more likely to me that this is the singularity point for all the possible baptisms and non-baptisms of Booker DeWitt. Our Booker entered the One Lighthouse that is the archetype for all the lighthouses. Therefore, he now stands in the One River to make the One Decision that will ripple to all the other lighthouses. But Elizabeth makes it clear that Booker is not where he was before, so the question remains: Where then is he? 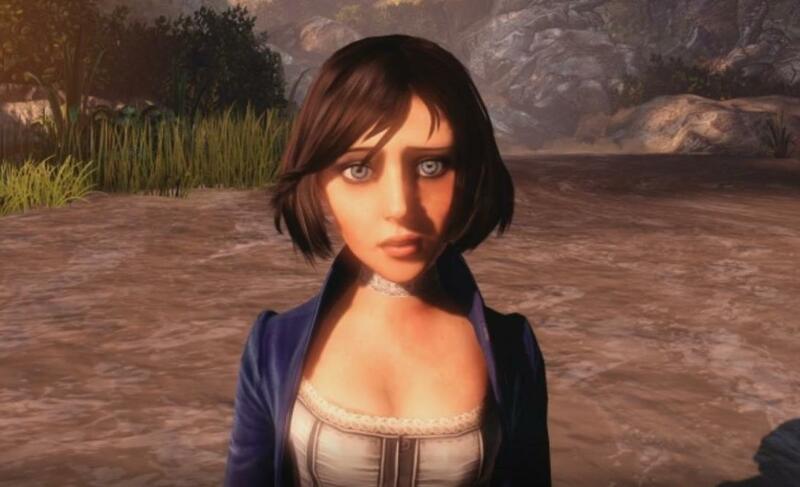 To emphasize to the player that this is not their Elizabeth, notice what Irrational did to her neck. There is no bird nor is there a cage. The choice mattered because it forced us to know that throughout the game, Elizabeth is wearing one or the other. But not now. This Elizabeth is simply wearing the cloth. They could have had her wearing the one the player didn’t choose, but that, apparently, would have been too subtle. Instead, she is wearing neither. The fourth and fifth questions are closely related but not the same. Depending on how one would answer the fourth question helps determine the answer to the fifth. But it doesn’t make that answer definite. 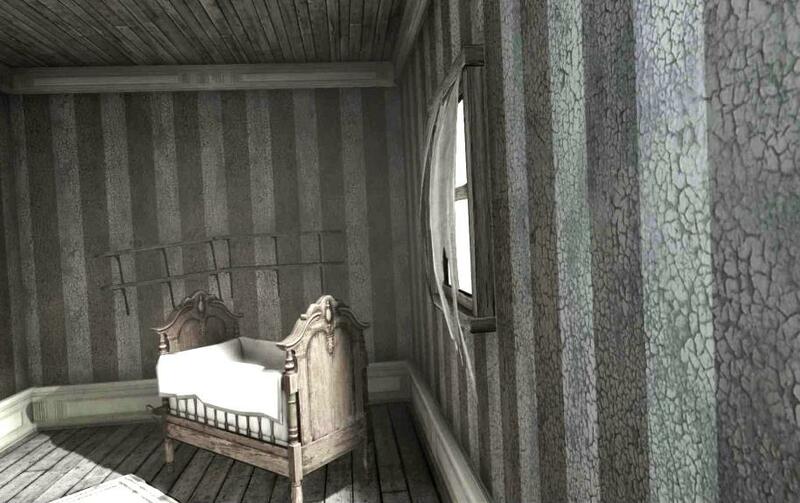 He opens the door and we see the crib but we do not get close enough to see if there is a baby in the crib or not. If she is not, we have to assume that Booker has given her, via the proxy of Robert Lutece, to Zachary Comstock. In this case, the answer to question five would appear to be obvious. Is Anna in the crib? Robert is not so negative. While he doesn’t seem certain they can change things (“One goes into an experiment knowing one could fail.”) he does seem to believe it is possible. Also, old Elizabeth indicates that every time the attempt has been made previously, Songbird has kept Booker from rescuing Elizabeth. This time, at a minimum, Booker succeeds in rescuing Elizabeth and freeing her from the shackles of the siphon. In this state, she sees all the lighthouses and slowly walks Booker down the path that leads him to the drowning. She seems to think this will work and while she may not understand the mechanisms as well, she apparently sees more than even the Luteces. Did the Luteces thought experiment fail, or did Booker succeed in bringing Anna back to her crib wiping away his, and the Luteces’, debt? I like that Irrational didn’t hand us these answers but left them for us to discuss. Hopefully the DLC reveals other parts of Columbia and its story to us and does not delve into these topics as the mystery is almost certainly more enjoyable than the answer. I have my thoughts as to what the answers might be, many of which are discussed here. If you have a different theory, or if you think a big question got left off the list, I’d love to discuss it with you in the comments below. And whatever you do, next time, don’t pick 77. 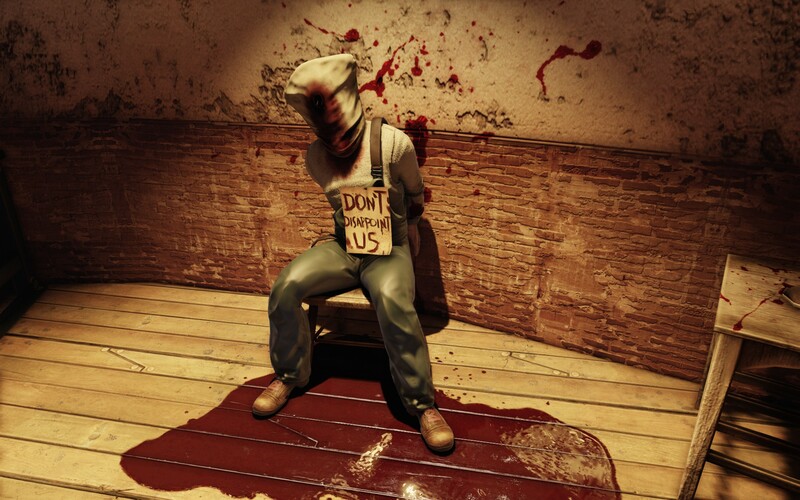 Tags: Bioshock Infinite, Irrational Games. Bookmark the permalink. Good article! The “Where is our Elizabeth” is a legit question I never picked up on. Also,I feel that the dead guy in the beginning will be addressed in DLC at some point. Good article. I too wonder if all Elizabeths died at his drowning. Also, why is another Booker alive after the story? The circle was not unbroken fellas. Yeah, I never picked up on the fact that that was not our Elizabeth at the end. After I finished the game, I kept wondering what the bird and cage choice met if nothing happened. I guess it was used to reinforce the idea in that final scene that she wasn’t wearing either one. Cool…. The Elizabeth question is one that makes me wonder if they don’t have something in mind. I can’t think of a reason why they wouldn’t have your Elizabeth there and yet they game does in some sense emphasize that it’s not her. I do agree with Robbie that the first one seems ripe for the DLC. Glad I took the time to read this! brought some interesting points up, some of which I hadn’t noticed before.